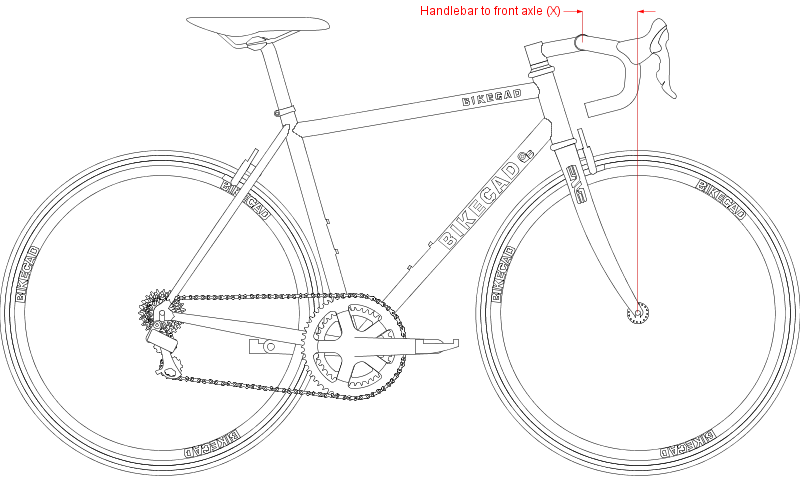 Handlebar to front axle (X) is the horizontal distance from the handlebar clamp to the front axle. 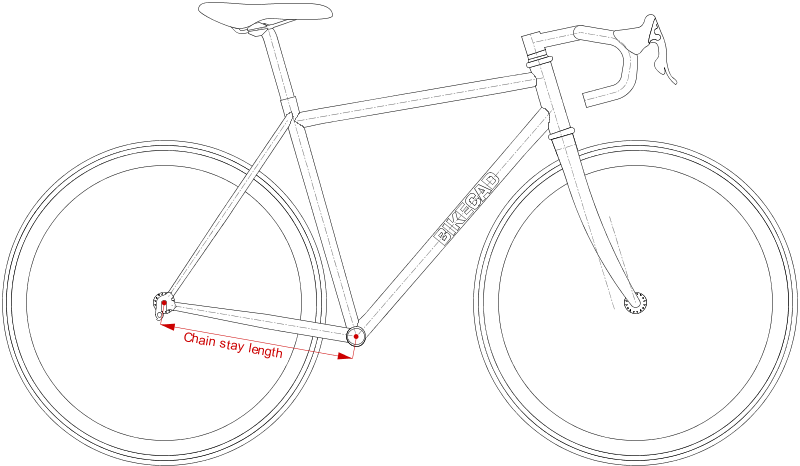 Wheelbase is the horizontal distance from the rear axle to the front axle. 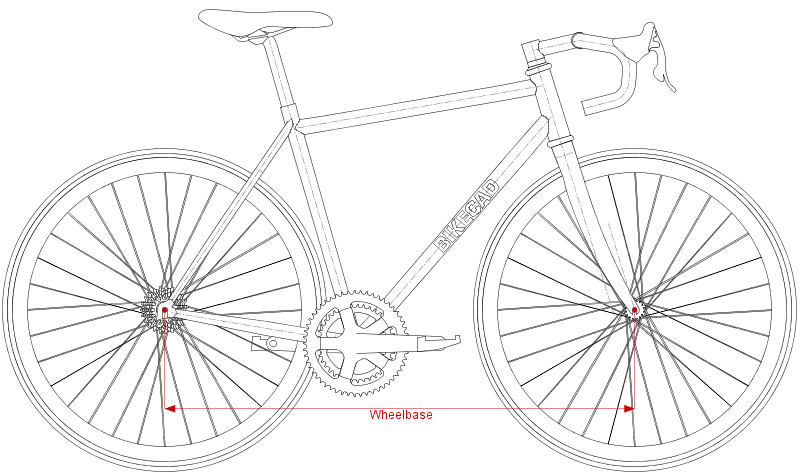 Although wheelbase is dependent on more than just the frame size (it is also a function of fork geometry, lower headset stack, and if the front and rear wheels are different sizes, then wheel diameter as well) the wheelbase dimension is found in the Frame tab of the Dimensions dialog box. 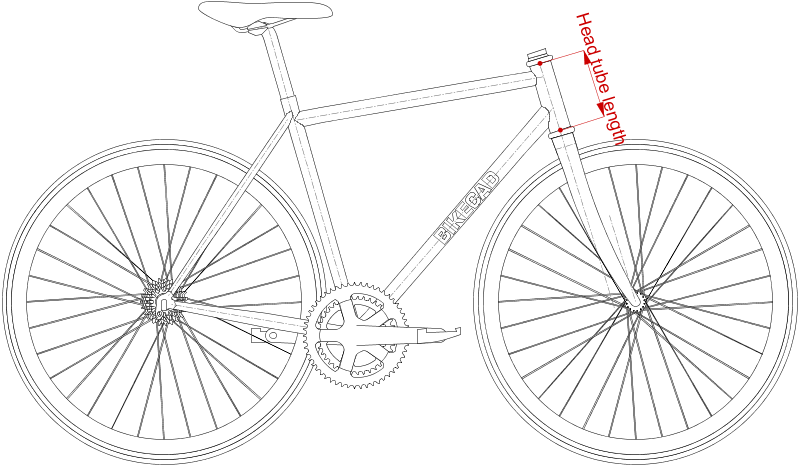 Head Tube Length is measured from the bottom of the head tube to the top of the head tube as shown in the above image. 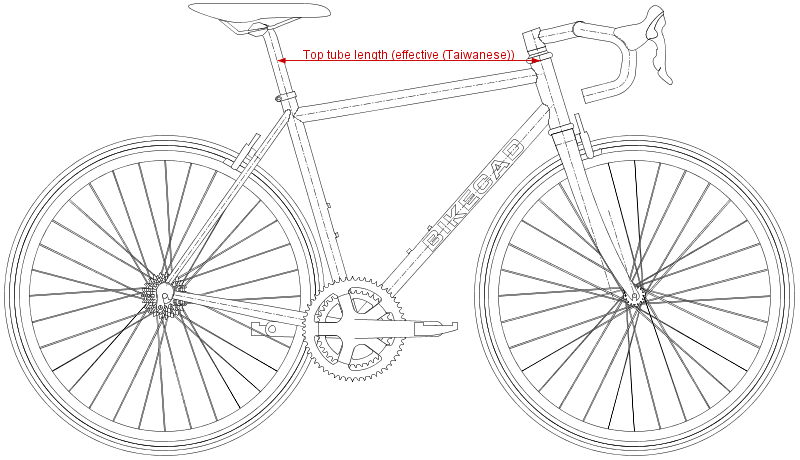 Head tube length can be directly controlled in BikeCAD as described at: bikecad.ca/toptube_frontcenter. 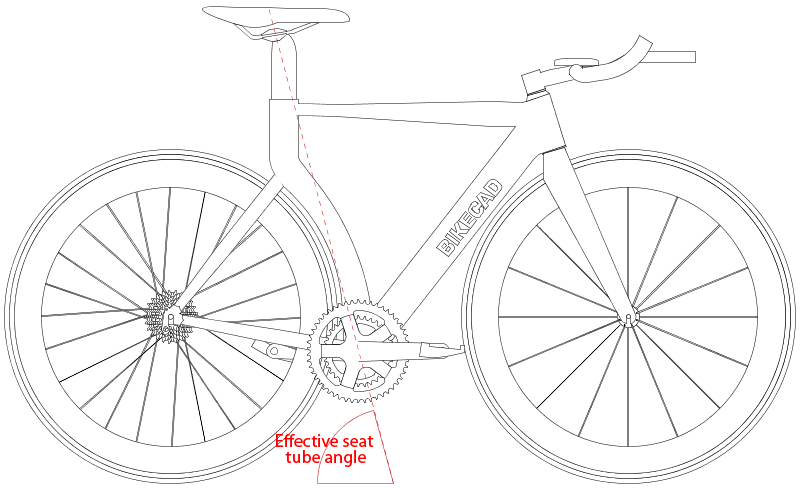 Sag refers to the amount that the suspension fork is compressed due to the rider simply sitting on the bike. Generally, you should try to set up your forks so that sag accounts for 20-30% of the overall travel. However, some forks are meant to be used with no sag, so you should check with the manufacturers recommendations for your particular fork and also take into consideration your own preferences. Notice how the head angle increases as the fork is compressed. 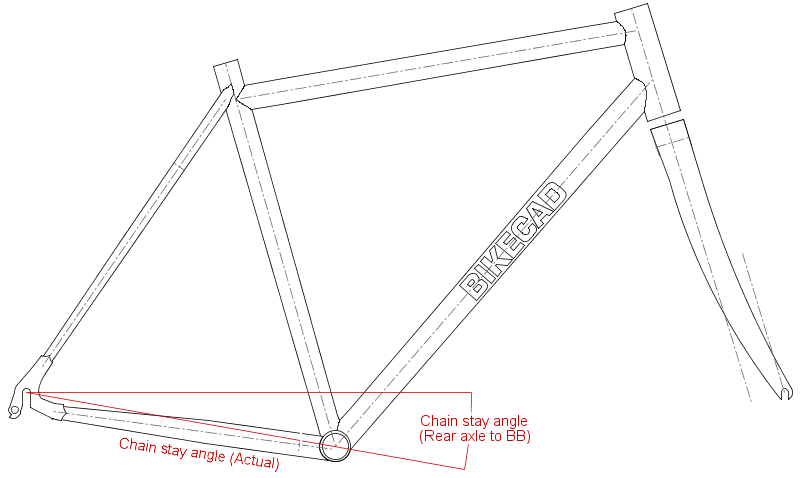 It is important to account for sag in the fork when you layout the frame geometry.